I wasted some time today making memes. 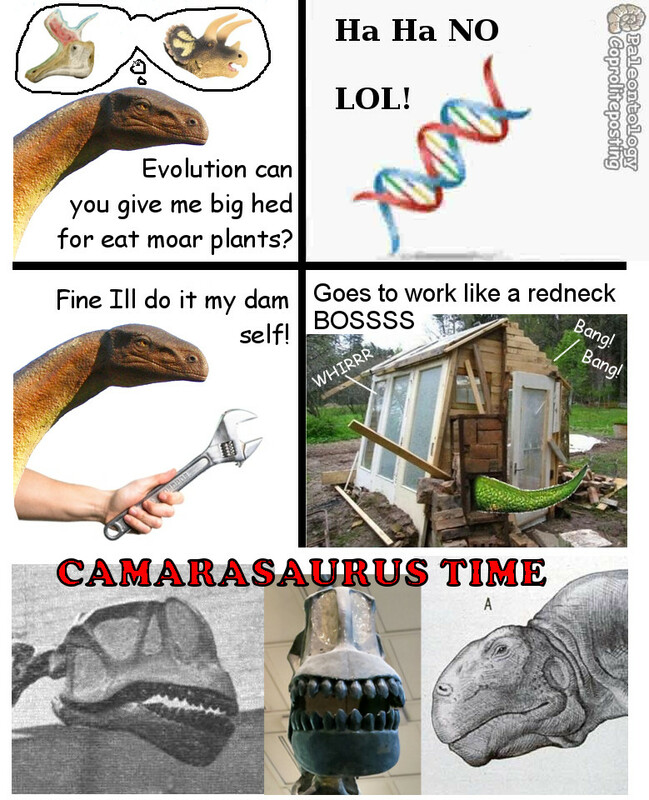 I blame the Paleontology Coproliteposting group on Facebook. Of course I started out by making fun of the most mockable sauropod. This one’s for you Cam-loving perverts out there. You know who you are. 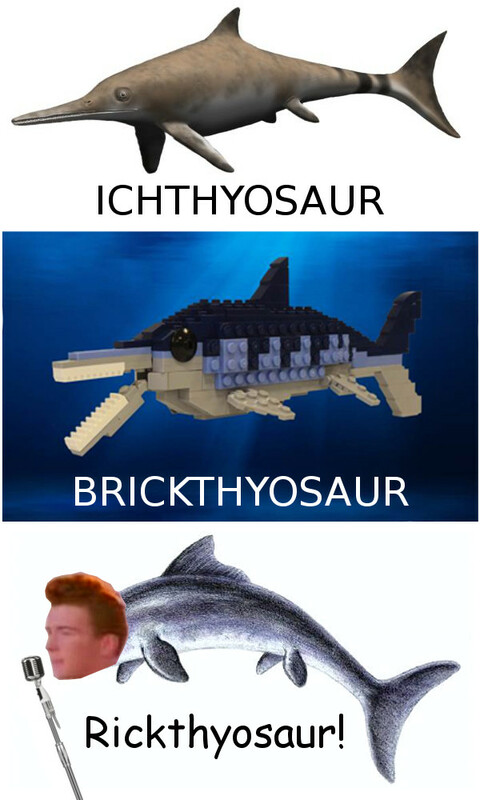 This one was inspired by the thiccthyosaur meme, which irritatingly enough I cannot find right now. Oh no, wait, here it is. I’m laughing through the tears. 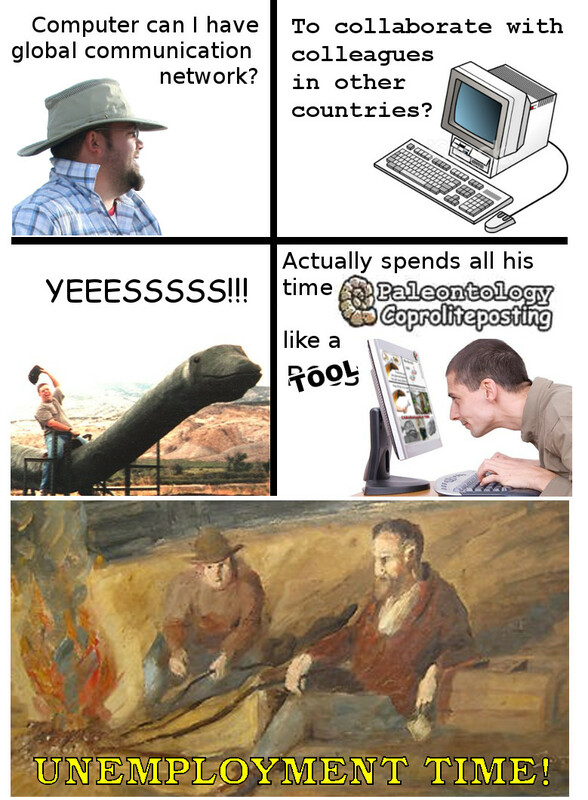 For previous adventures in meme-ing, see this post. This is SUSA 515, a partial skeleton of Camarasaurus on display in the Museum of Moab. (SUSA stands for Southeastern Utah Society of Arts & Sciences.) It was described by John Foster in 2005. I like this thing. 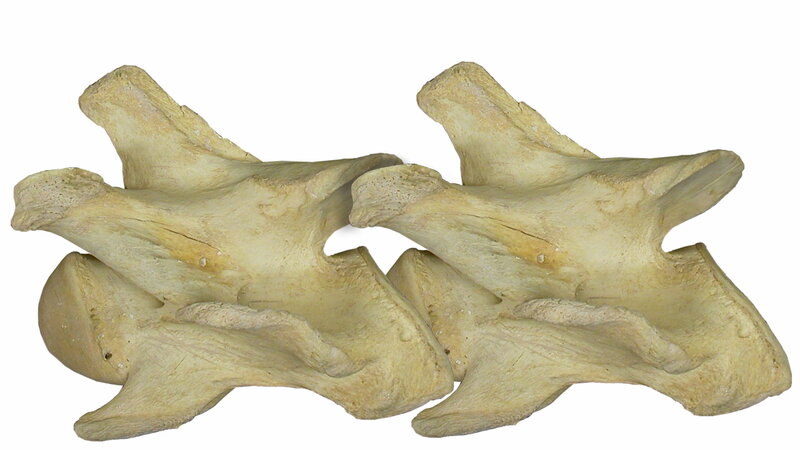 The neural spines are blown off so you can see right down into the big pneumatic cavities in the dorsal vertebrae. 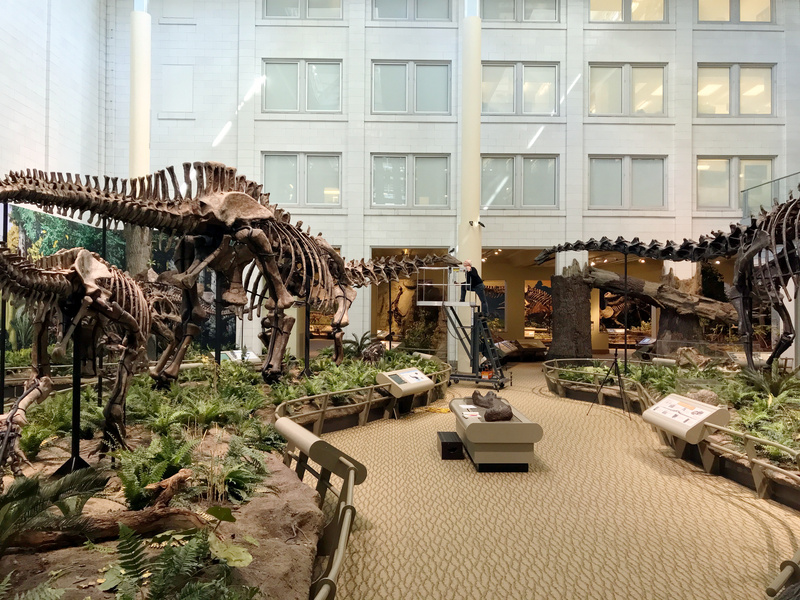 And unlike the plastered, painted, and retouched-to-seeming-perfection mounted skeletons in most museums, this specimen reflects how most sauropod specimens look when they come out of the ground. With a few dorsal centra, a roadkilled sacrum, and some surprisingly interesting caudals, it puts me strongly in mind of MWC 8028, the Snowmass Haplocanthosaurus (another John Foster joint: see Foster and Wedel 2014). Frankly, it doesn’t look like much: 17 centra and some odd bits of pelvis. Surely, with so many good Camarasaurus specimens in the world, this one couldn’t possibly have anything new to tell us about the anatomy of that genus. And yet, it has a couple of unusual features that make it worthy of attention. 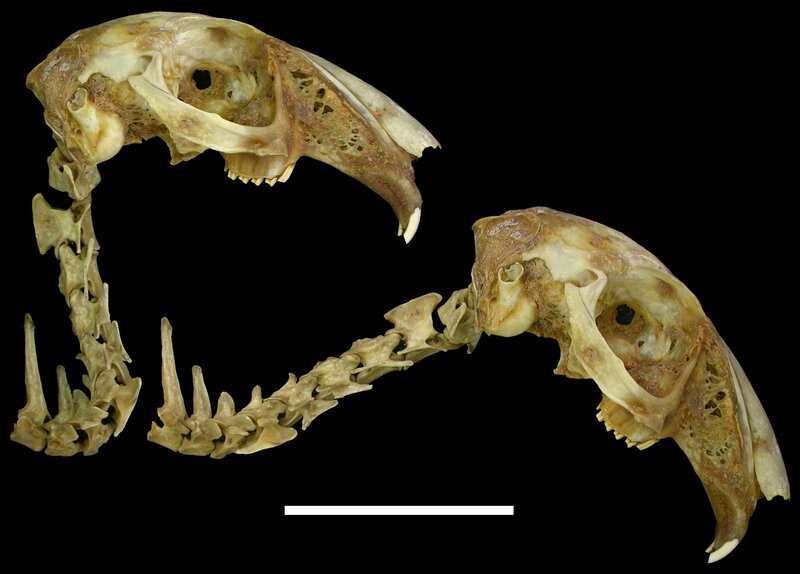 My colleagues and I are working on those things right now, and you’ll be hearing more about this specimen in the very near future. Foster, J.R. 2005. 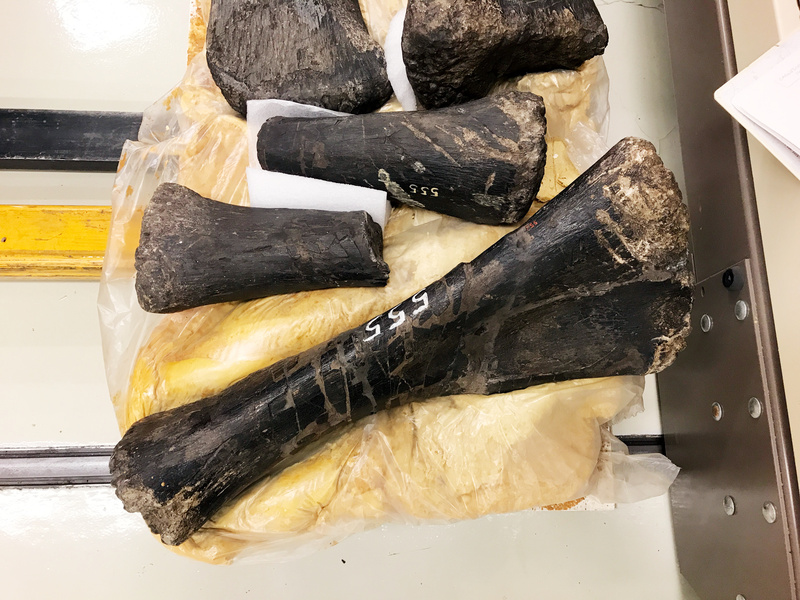 New sauropod dinosaur specimens found near Moab, Utah, and the sauropod fauna of the Morrison Formation. Canyon Legacy: Journal of the Dan O’Laurie Museum of Moab 55:22-27. 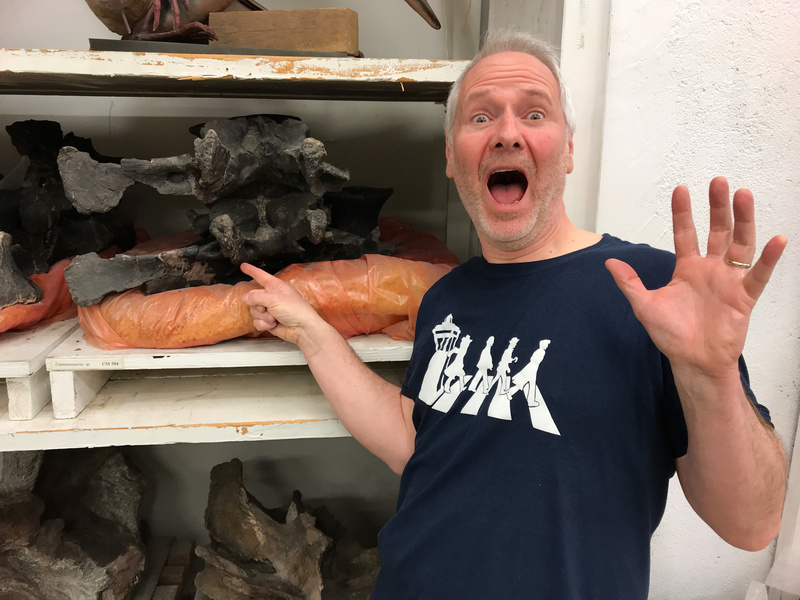 Back in the spring of 1998, Kent Sanders and I started CT scanning sauropod vertebrae. 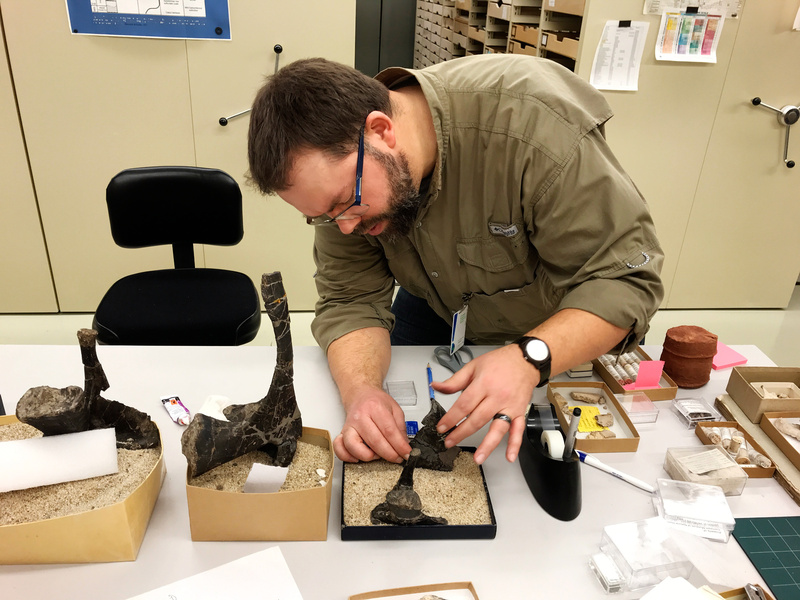 We started just to get a baseline for the Sauroposeidon project, but in time the data we collected formed the basis for my MS thesis, and for a good chunk of my dissertation as well. Mostly what we had available to scan was Morrison material. 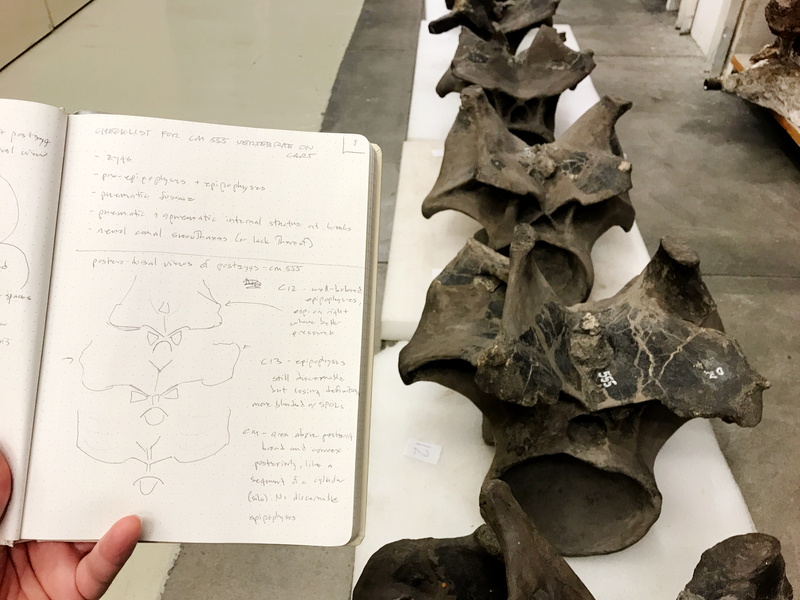 Between imperfect preservation, inexpert prep (by WPA guys back in the ’30s), and several moves over the decades, most of the verts from the Oklahoma Morrison have their neural spines and cervical ribs broken off. 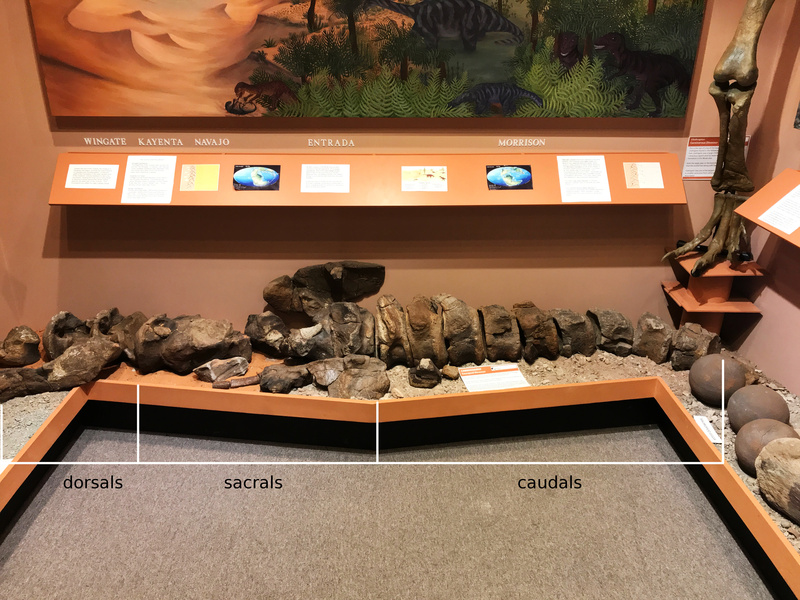 One of the first things I had to figure out was how to tell broken vertebrae of Camarasaurus from those of Apatosaurus (at the time; Brontosaurus is back in contention now). 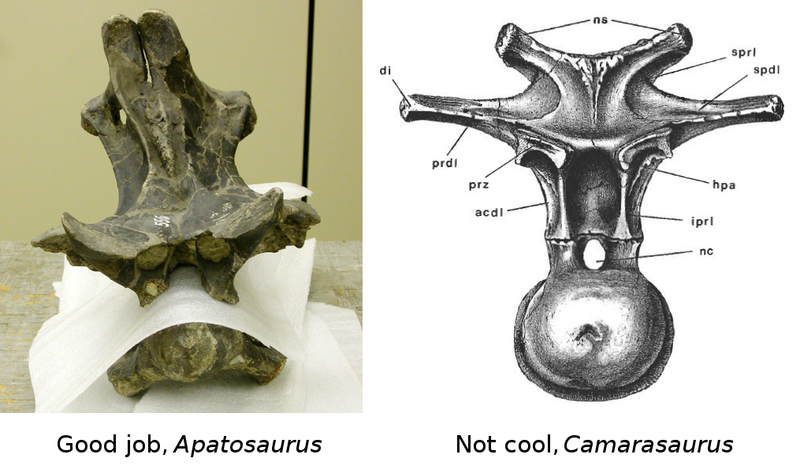 Here’s a thing I made up to help me sort out cervical centra of Camarasaurus and whatever the Oklahoma apatosaurine turns out to be. It’s a recent production, but it embodies stuff from my notebooks from 20 years ago. 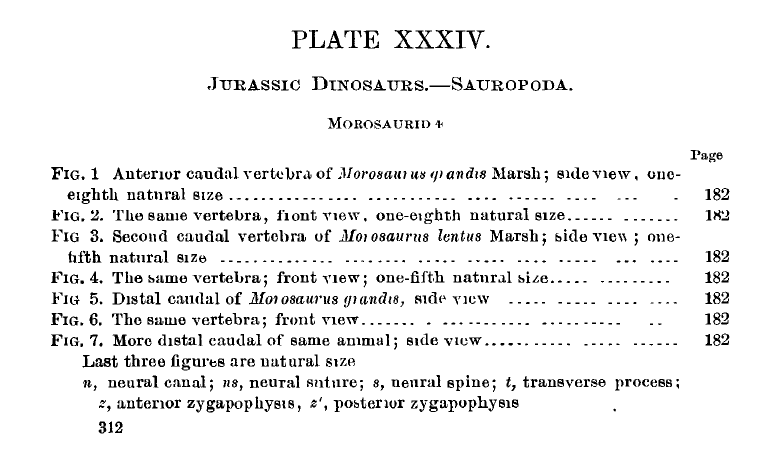 Should be useful for other times and places in the Morrison as well, given the broad spatiotemporal overlap of Camarasaurus and the various apatosaurines. 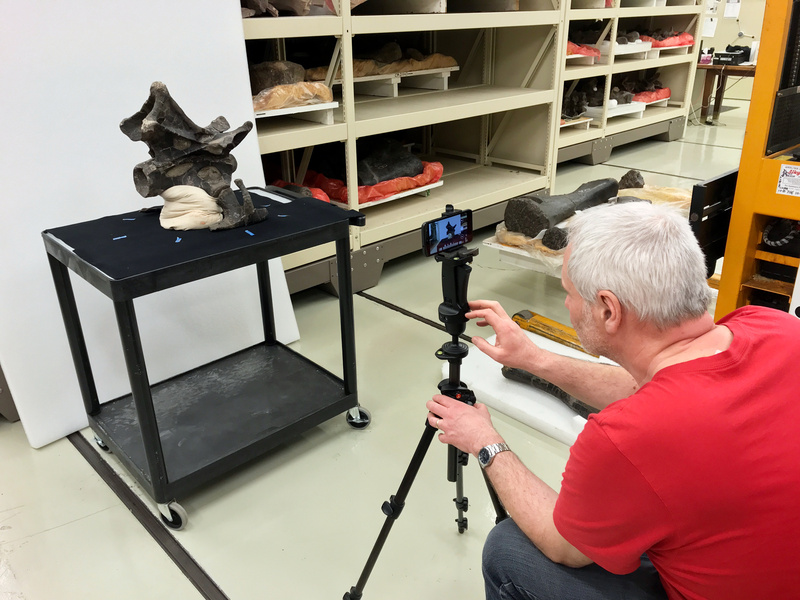 For a related thing in the same vein, see Tutorial 30: how to identify Morrison sauropod cervicals. More elephant seals soon, I promise. Ken Carpenter sent this by email, with a request that I post it as a comment. Since it includes an image, I’m appending to the post, because it makes an important point that I neglected to mention. Ken: Sorry, Matt. Not so easy. The last cervical of Camarasaurus from the Cleveland Lloyd Quarry is more apatosaurine-like than Camarasaurus-like based on your posting. 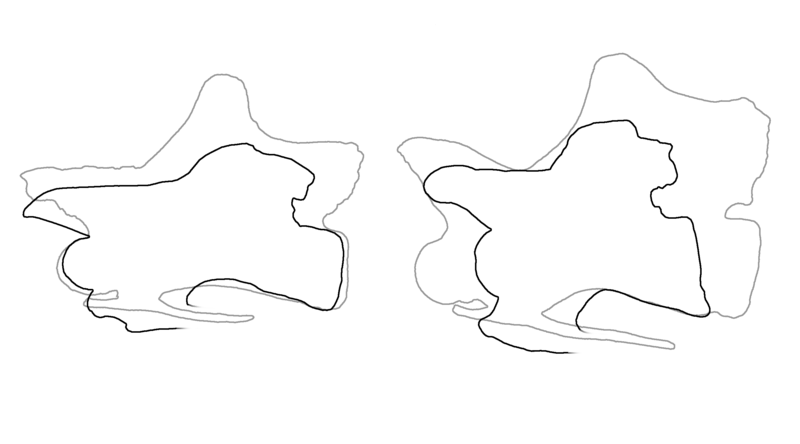 Note the position of both zygapohyses with both ends of the centrum. 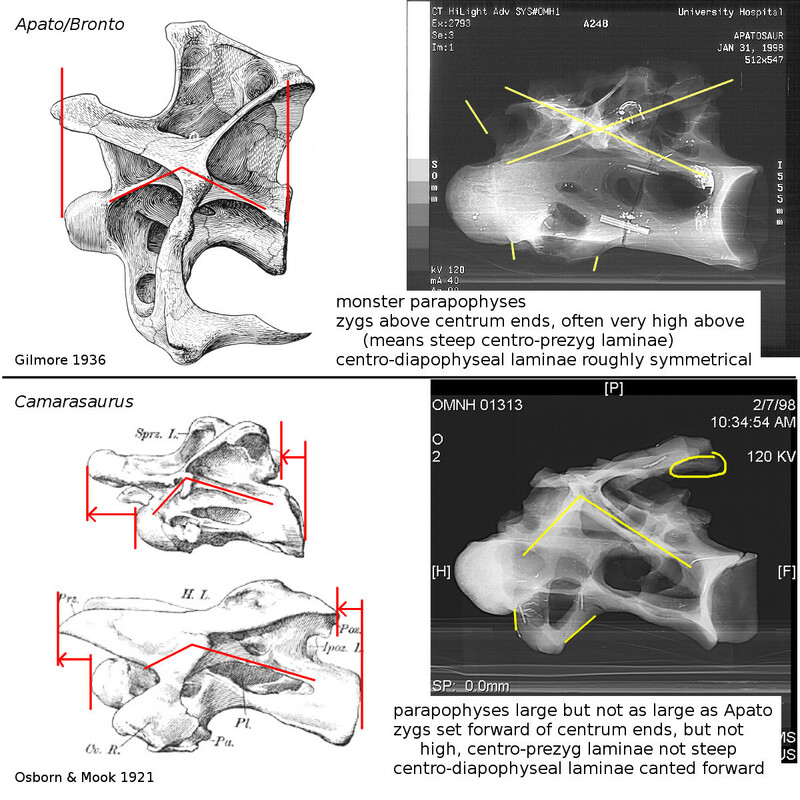 For distinguishing cervico-dorsals, apatosaurines tend to have much taller neural spines than Camarasaurus, and this carries on through the rest of the dorsal series. 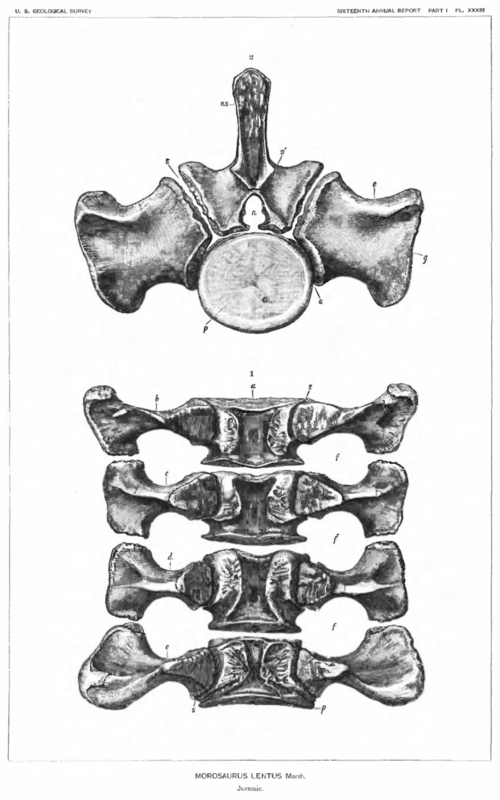 In apatosaurine dorsals, the height of the spine above the transverse processes always equals or exceeds the height of the arch below the transverse processes. 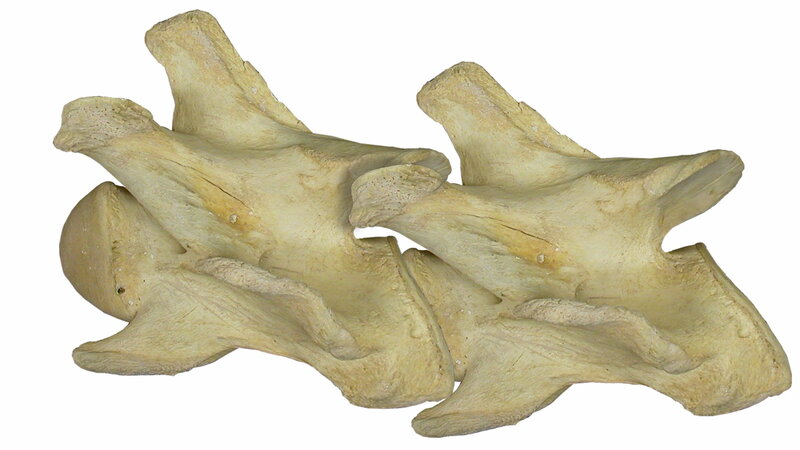 In Camarasaurus, the height of the dorsal neural spines is always less than or equal to the height of the arch. 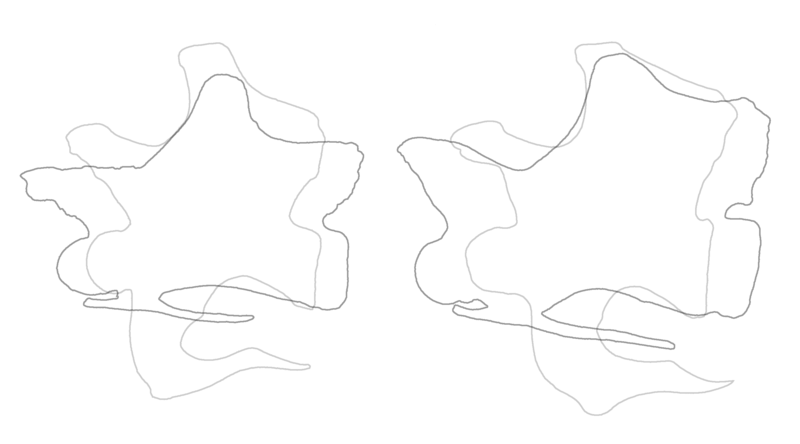 The shapes of the spines are fairly different, too. Maybe that will be the subject of a future post. 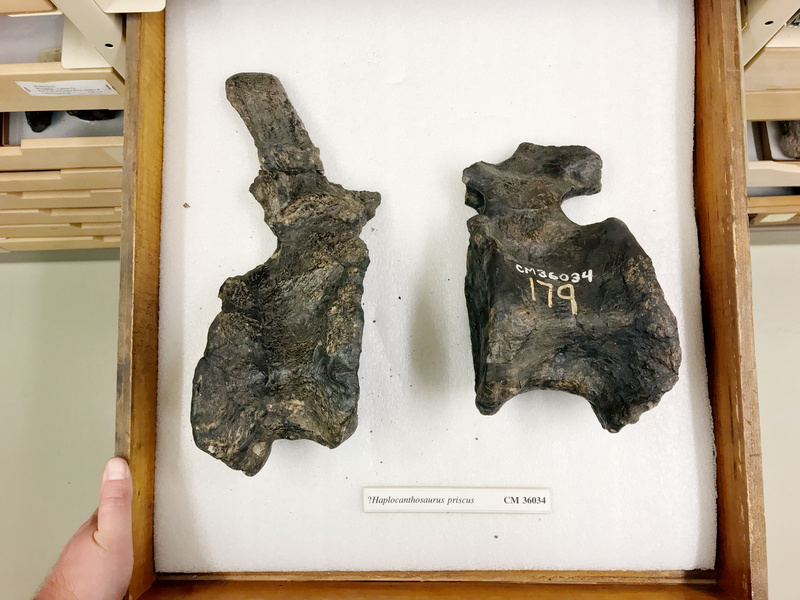 In the first installment in this series (link), we looked at a couple of weird sauropod vertebrae with neurocentral joints that were situated either entirely dorsal or ventral to the neural canals. 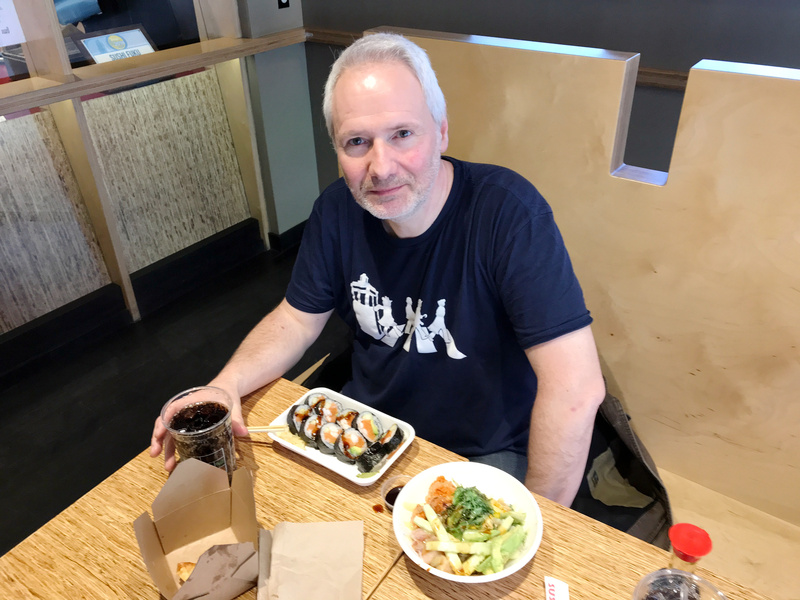 This post has more examples of what I am calling “offset” neurocentral synchondroses. I decided it made more sense to refer to the synchondrosis as being offset, instead of referring to the neural canal as offset. 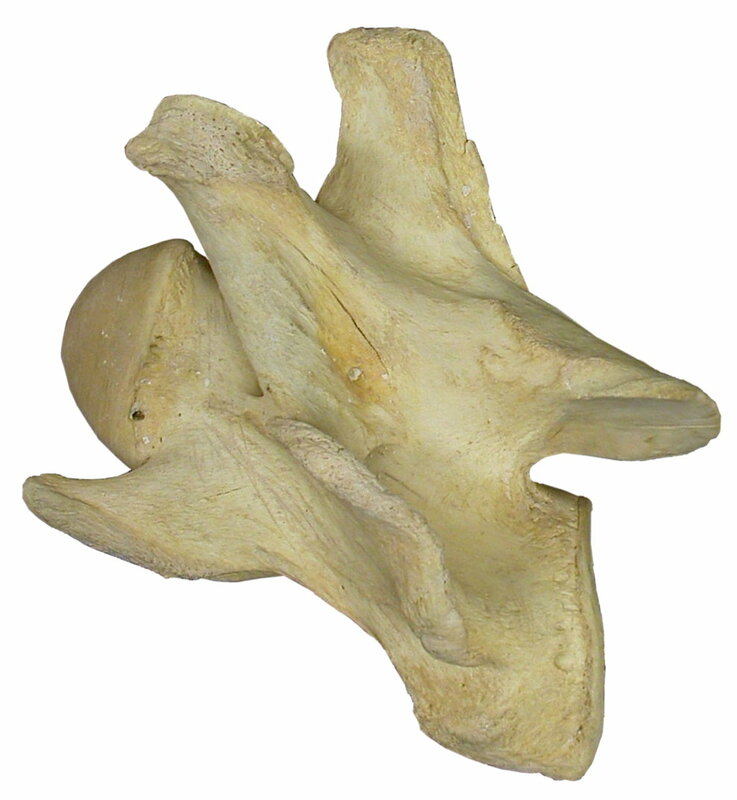 Because the neural canal in all of these vertebrae is right where it pretty much always is, just dorsal to the articular surfaces of the centrum. 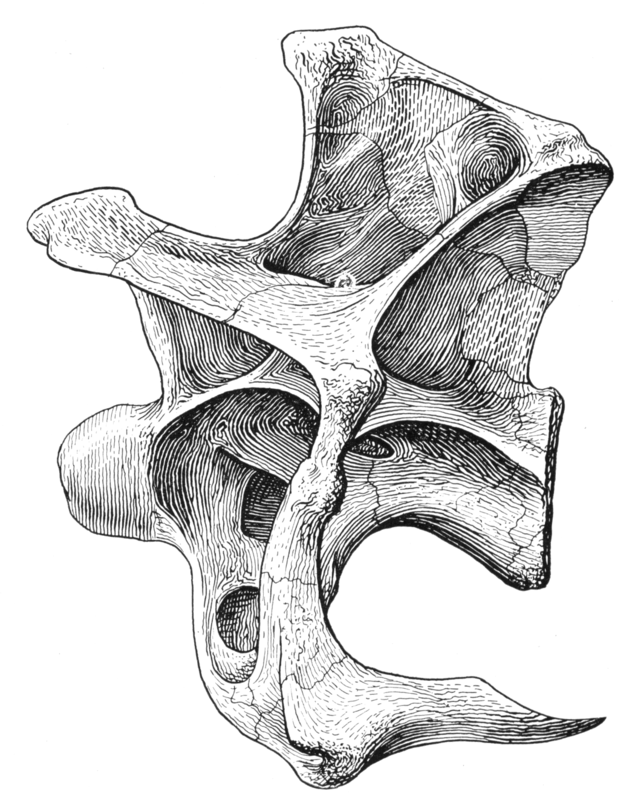 In an adult, fused vertebra, there’d be no sign that anything unusual had ever happened. So I think it makes more sense to talk about the neurocentral joint having migrated dorsally or ventrally relative to the canal, rather than vice versa. If you know differently, or if these weirdos have been addressed before elsewhere and I’ve just missed it, please let me know in the comments! 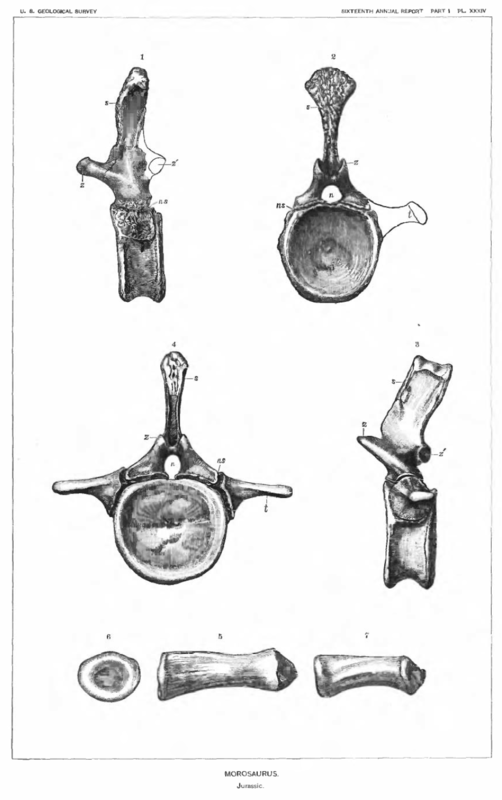 Here’s a plate from Marsh (1896) showing caudal vertebrae of Camarasaurus (“Morosaurus” in O.C. 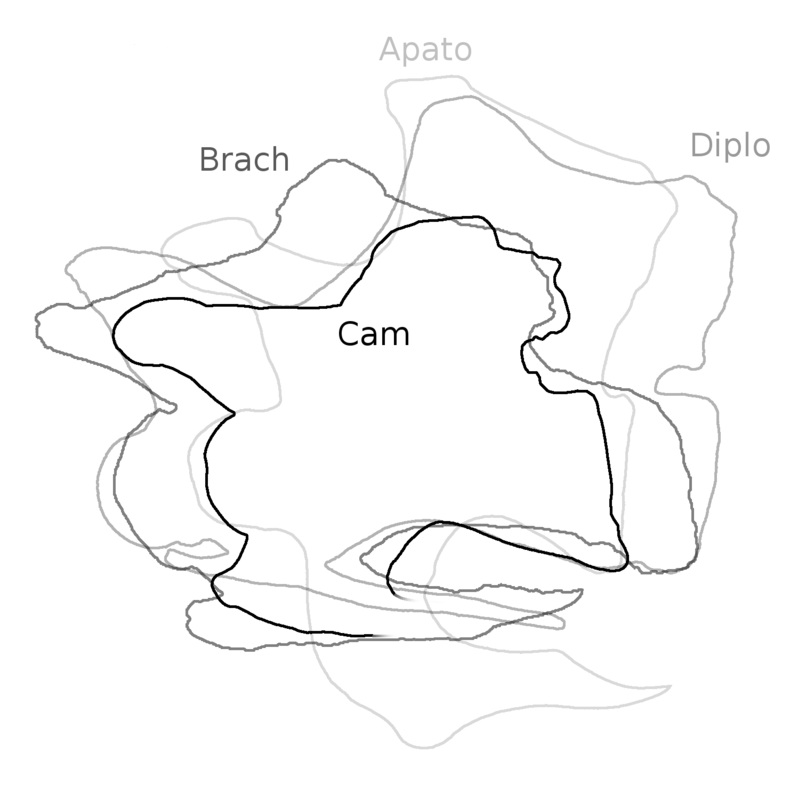 Marsh parlance), which echo the Alamosaurus caudal from the first post in having the neurocentral joint almost entirely ventral to the neural canal. The neural arch here doesn’t just arch over the canal dorsally, it also cuts under it ventrally, at least in part. 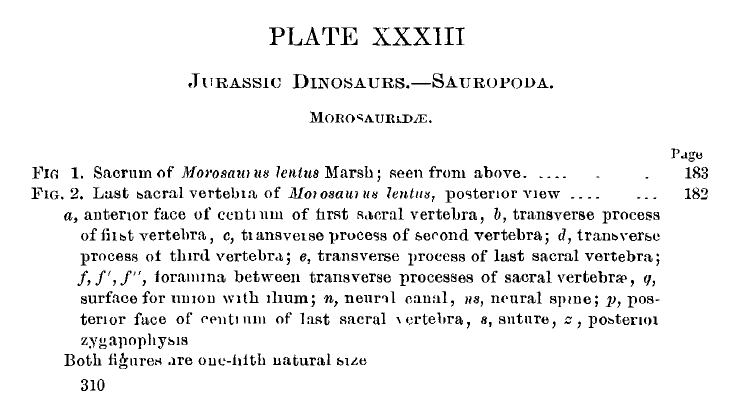 Here’s the preceding plate, Plate 33, with illustrations of an unfused Camarasaurus sacrum. So now I’m freaked out, wondering if this neural arch wrap-around in the caudals is common to most sauropods and I just haven’t looked at enough juvenile caudals to have spotted it before. As always, feel free to ablate my ignorance in the comments, particularly if you know of more published examples. I’m a collector. 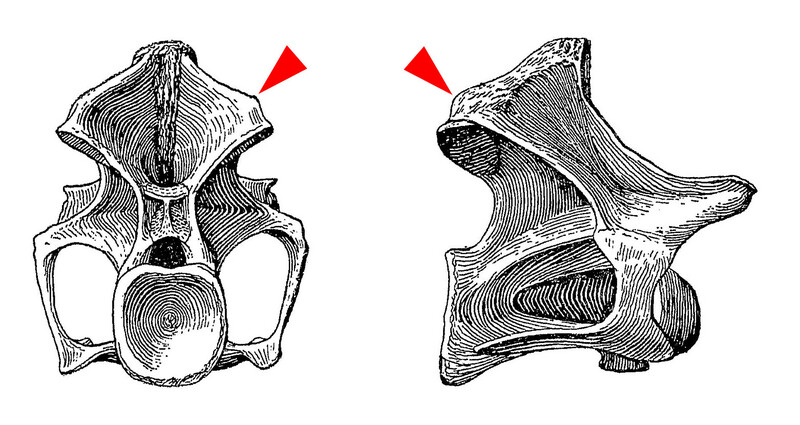 The neural canal of that last sacral also has a very interesting cross-sectional shape, like a numeral 8. I have some thoughts on that, but they’ll keep for a future post in this series.